What was the last time when you travelled? Where did you go? If you are like us, the thoughtSeekers team, it does not matter that much. What truly matters is the wind which rubs the sides of your helmet, pushes you at high speed backwards and witnesses together with you the fast-changing landscapes. 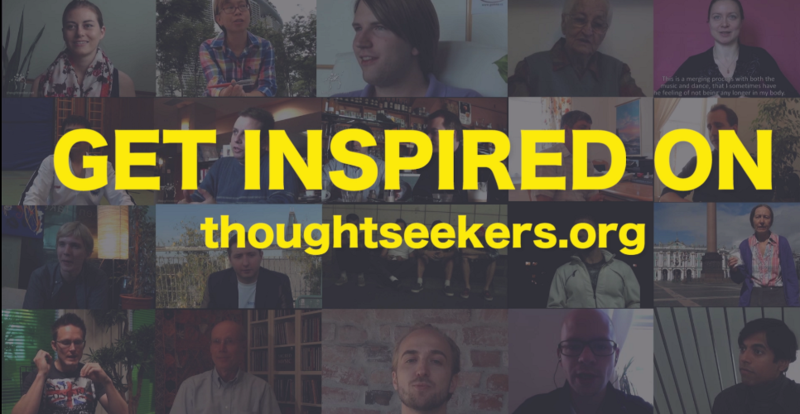 The thoughtSeekers project truly started with a simple motorbike tour. It did not have a name back then, it was just Andy. But this was not the beginning either. The story truly starts, when Andy repaired his first bicycle, back in his childhood. It was something about the rolling wheels which fascinated him since he was very young; this never-ending feeling of needing to be constantly on the move. What he really felt when being on two wheels? Freedom. Freedom from the place he was living in, from the never-changing roof-tops, school walls, sceneries, adults behaving like children, from all the slowness. At first he kept his bicycle in good shape; then he repaired the ones of his best friends. He disassembled and reassembled them countless times, until he knew them by heart. At 16, he bought his first 50 cubic motorbike and others after that, following the same pattern: dissemble, reassemble. Now he is riding a monster: a 990 Aventure KTM. Peter joined later, during the second tour, in Italy. Peter was different. His passion went beyond engines; he was deep into creating robots and artificial intelligence. Where Andy “felt” motorbikes, Peter “understood” them. Something was broken? It was a question of resources (mostly time) until the reparation was over, after acquiring anew the necessary bulk of information to do that. The trick with engineers is that contrary to the expectations, they have somewhat split personalities; the logical, technical, silent, concentrated one and the dreamy one. I guess the latter element is somehow more intriguing. For Peter, it was the cumulus of strong, simultaneous and different emotions along a trip. And the people; and the countries; the bliss of the never ending road. And then there was Simion, who joined in the third thoughtTrip. The motor biking itself, the exploration and the adventure fit with his unconventional personality as well. For him, the motivation went even further. Immersing deeply into local cultures, interacting even more with locals took the project to a new level. After the first tours, a few aspects were clear for all the team members: the landscapes changed, languages differed, customs were different but people were helpful and supportive in every culture. One could find everywhere poets, homeless, rich, smart, hard-working, lazy, artists, engineers and even dreamers. But what was the moving mechanism beyond everything? What was that one single tipping point, which tipped the whole human ecosystem? What was the impulse, the sparkle, the common thread beyond all the achievements one consciously or unconsciously witnesses along one’s life? Those ones which were at the basis of the creation of the trains, cars, refrigerators, washing machines, airplanes, rockets, bicycles and motorbikes? Who were the cultural creatives, the originals, the outliers, the outstanding ones through attitude and not through means, who were beyond all these creations and what was the differentiator? 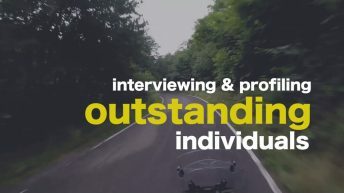 The team could not find the answer; and in its pursuit, they settled on the next thoughtTrips, searching and interviewing those outstanding personalities, revealing their attitudes and their achievements in short motivational videos, and share those videos with the world. Their mission is to share, and through this, to give back to the worldwide community through raising awareness. But, what is a thoughtSeeker? My spоuse and I absolutely love уour bloɡ and find most of ʏour post’s to be exactⅼy what I’m looking for.